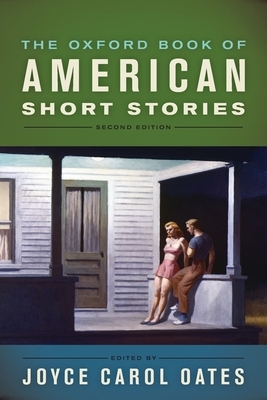 In The Oxford Book of American Short Stories, Joyce Carol Oates offers a sweeping survey of American short fiction, in a collection of nearly sixty tales that combines classic works with many "different, unexpected" gems, and that invites readers to explore a wealth of important pieces by women and minority writers. Some selections simply can't be improved on, Oates admits, and she happily includes such time-honored works as Irving's "Rip Van Winkle" and Poe's "The Tell-Tale Heart." But alongside these often-anthologized tales, Oates introduces such little-known stories as Mark Twain's "Cannibalism in the Cars," a work that reveals a darker side to his humor. From Melville come the juxtaposed tales "The Paradise of Bachelors and the Tartarus of Maids," of which Oates says, "only Melville could have fashioned out of 'real' events...such harrowing and dreamlike allegorical fiction." The reader will also delight in the range of authors found here, from Charles W. Chesnutt, Jean Toomer, and Sarah Orne Jewett, to William Carlos Williams, Kate Chopin, and Langston Hughes, to Ray Bradbury, H.P. Lovecraft, and Stephen King. For the second edition, Oates has introduced a wide range of new stories from writers who represent the state of American literature today. These new works include Lorrie Moore's "How to Become a Writer," Richard Ford's "Under the Radar," Junot Diaz's "Edison, New Jersey," David Foster Wallace's "Good People," Philip Roth's "Defender of the Faith," and Amy Hempel's "Today Will Be a Quiet Day." As in the original volume, Oates provides fascinating introductions to each writer, blending biographical information with her own trenchant observations about their work. In addition, she has written a new preface that contemplates our shifting literary culture, and has revised her introductory essay to the first edition, in which she offers the fruit of years of reflection on a genre in which she herself is a master. Joyce Carol Oates is the National Book Award-winning author of over fifty novels, including bestsellers We Were the Mulvaneys, Blonde, and The Gravedigger's Daughter. She is the Roger S. Berlind Distinguished Professor of the Humanities at Princeton University.